Children in the Wilderness educates Africa's future generations about the importance of conserving their incredible natural resources and provides them with the skills they need to thrive. Imagine growing up with elephants crossing your backyard and giraffes stretching their long necks to eat from the trees outside your window. 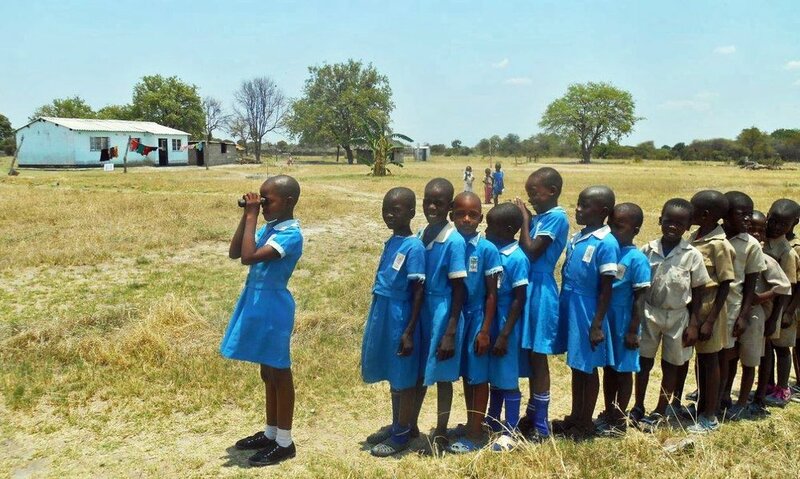 This is the dream of growing up in Africa, but, due to poor education systems and a disconnect between tourist and locals, it is often not the reality. Children In the Wilderness works with rural African kids to reconnect them with their African heritage and teach them how to care for the environment. Our trips to Botswana, Zimbabwe, and Namibia all support this cause. Children in the Wilderness is an environmental and life skills educational program that focuses on the next generation of rural decision makers. It is one of the few programs aimed at bridging the divide that exists between communities and wildlife. Children in the Wilderness hosts rural children that live alongside our Wilderness Safaris parks and reserves and teaches them the importance of conservation. The Children in the Wilderness program aims to develop environmental leaders who are inspired to care for their natural heritage so that they become the custodians of these areas in the future. Children in the Wilderness exposes children to their wildlife heritage, builds and strengthens their capabilities to cope with life’s challenges and educates them with the life skills necessary to actualize their greatest potential. In 2016, the program supported over 400 scholarships, trained nearly 120 teachers, and engaged over 70 schools. We've been supporting the efforts of Children in the Wilderness for decades. Join us by traveling to one of the safaris below.